August 10 2014. Two more photographs from Korea. This was taken in Geochang in the centre of Korea. On weekday afternoons it is common to see older people out and about killing time. Unlike younger Koreans who are committed to rushing, the older Koreans are more leisurely, even contemplative in their getting about. This makes it easier to photograph. Seeing this guy, I knew immediately that I wanted to shoot him and that it had to be with the iPhone. As I approached, I readied the camera and as I held it up our gaze collided for an instant. Snap! I heavily processed this in Snapseed, applying scratches after scratches, and somehow it works. It might appear that the scratches would conceal or mask him, but still he shines through. His eyes pierce. This shot was taken just moments after the previous shot. I was waiting outside a shop while my wife was browsing – a fair exchange. Next to the shop she was in was another boarded up. Painted in white it gave me the backdrop I wanted. All I needed now were passersby. The wonderful thing about Asia is that you never have to wait long. People are plentiful. 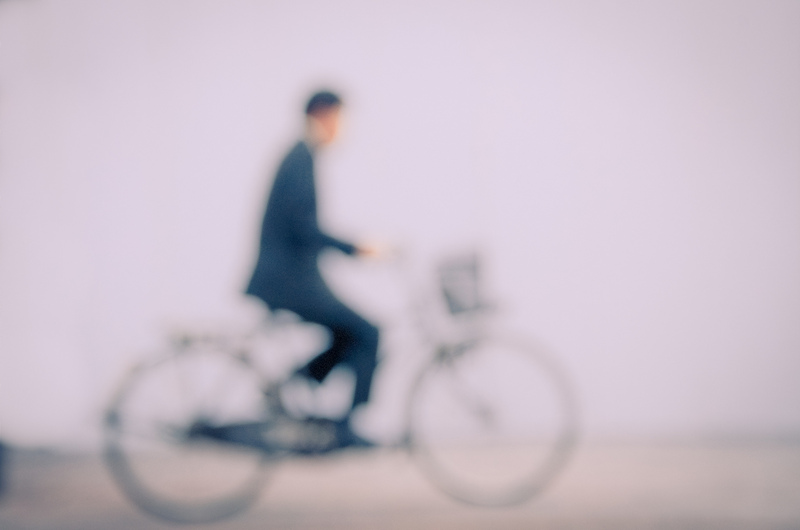 I set the camera out of focus and clicked as they pass. This guy here passed on a bicycle. I am obsessive about getting people fully in the frame. If their feet are cropped out I very often immediately delete the shot. Framing this guy on the bike, I had to reposition myself to get the full bike in the frame. I suppose I am trying to achieve a painterly effect when doing the post-processing. I use Lightroom. It makes it easy. Thanks for dropping by. Any questions or feedback post a comment below. 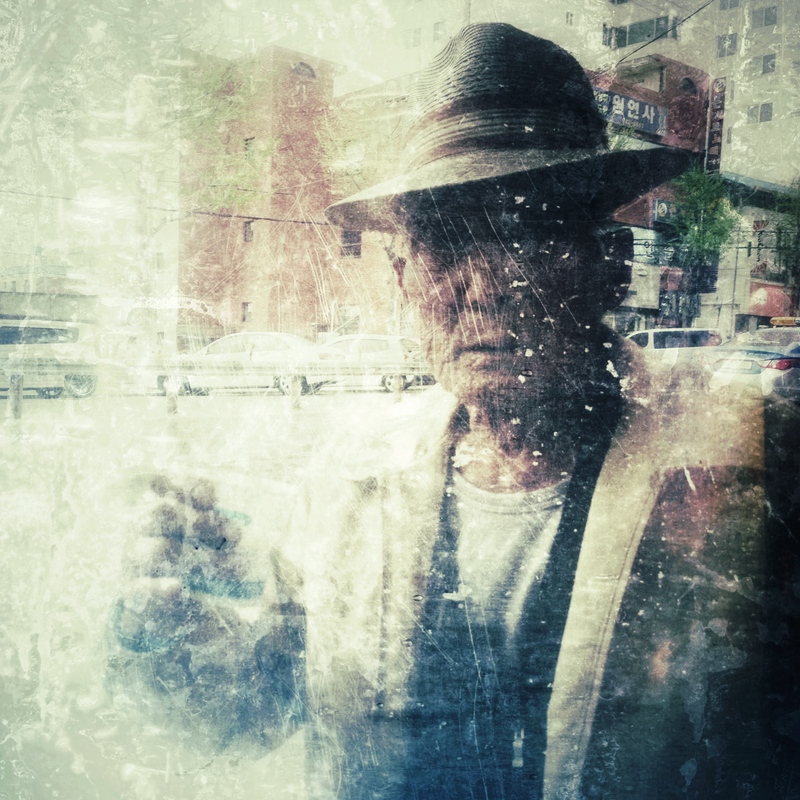 This entry was posted in Daily posts to Flickr, iPhone, photograph posts, Street Photography and tagged art, blur photography, Brendan Ó Sé, Cool dudes, flickr, iphoneography, Korea, love, old people, painterly, people, street photography.